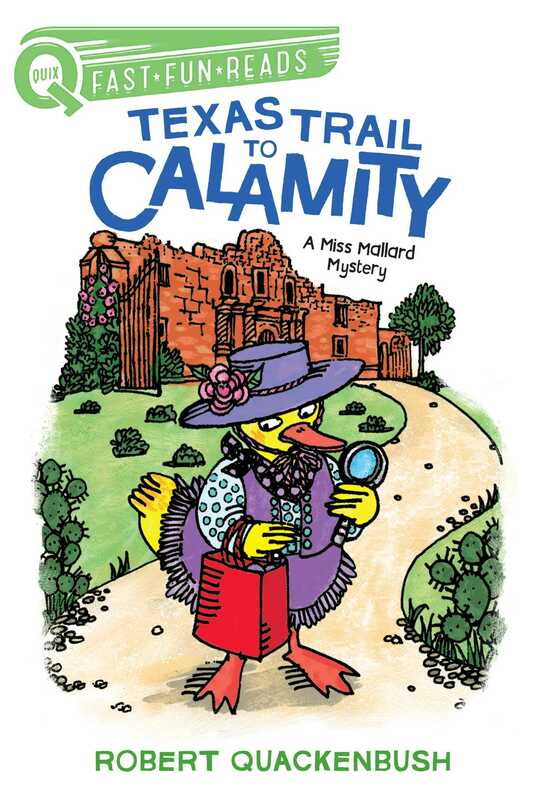 Miss Mallard, the world-famous ducktective, was on vacation at a dude ranch in Texas. Late one afternoon she went horseback riding. Out on the trail, her horse was suddenly frightened by a bouncing tumbleweed. Her horse squealed and reared up on his hind legs. Miss Mallard went crashing to the ground, knitting bag and all. Then her horse galloped back to the ranch. She was left alone on the prairie to find her own way back. Soon it grew dark. Miss Mallard saw some lights in the distance and headed toward them. At last she came to a huge, old house. Miss Mallard firmly clutched her knitting bag and climbed the steps of the spooky-looking house. When she rang the doorbell, a housekeeper opened the door.